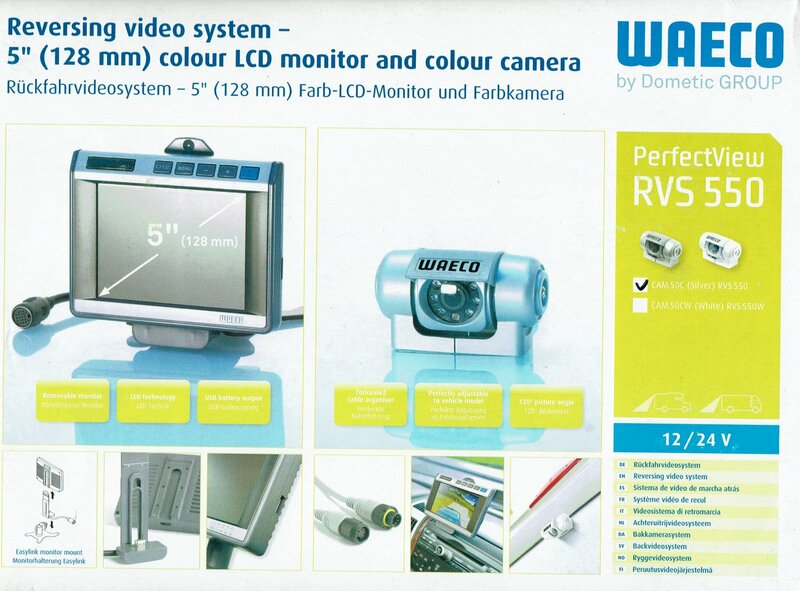 Waeco RVS 550 Perfectview reversing camera system with 5" monitor and Sony CCD camera. 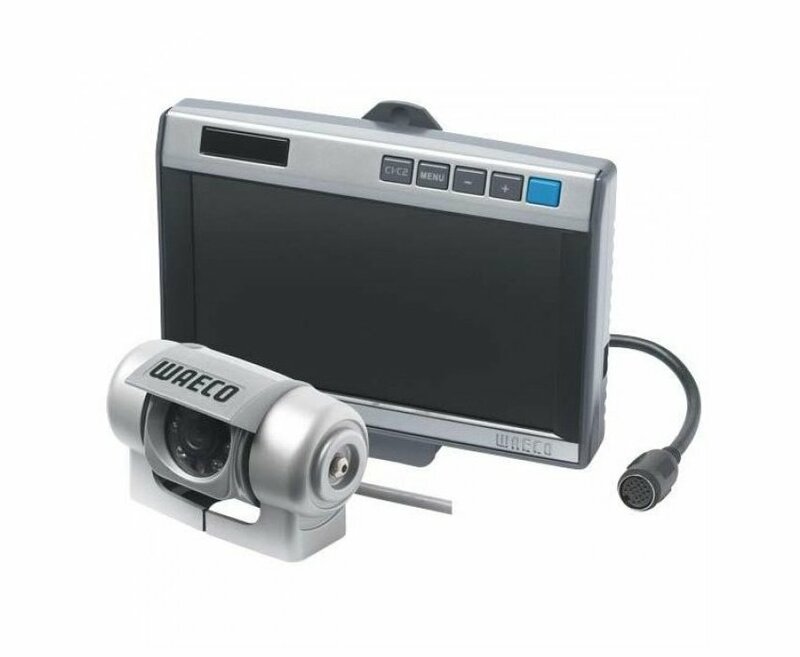 Reversing camera system with 5" monitor, easy to remove thanks to Easylink monitor mount. USB charging port on the side as a useful extra. High light density for as brilliant picture, even in bright sunlight, with a built-in loudspeaker, and has connection inputs for two cameras. Compact colour camera in a silver finish with a 120 degree picture angle and lens hood. IR LEDs ensure excellent picture quality, even in the dark.